There are three main pocket money apps out there, all of which work on the principle that the parent transfers money from their bank account into the pocket money app ‘wallet’. You then transfer money from the parent’s half of the app into the child’s. If it sounds complicated, it isn’t. You can set up regular, automatic payments both from your bank and into your child’s app. It takes out the hassle of having to scrabble around for change, and it teaches kids the basics of saving and spending. 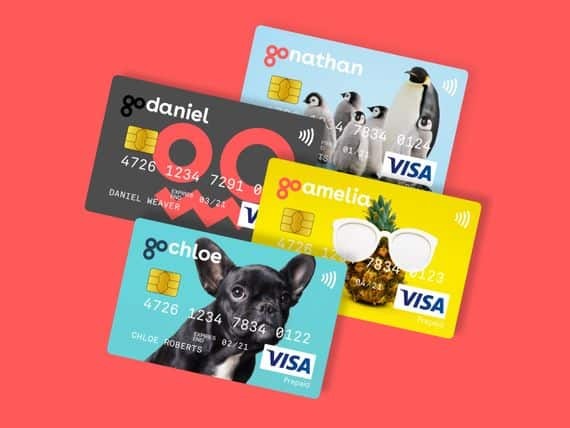 The child gets a pre-paid Visa or Mastercard, which the parent has lots of control over: they can set limits as to how much they can spend both per week and per transaction, whether it works at an ATM, and the parent is able to block it – almost immediately via the app – if the card gets lost or stolen. The key benefits are: both the parent and the child has a record of what money has been paid out, where any pocket money has been spent, and the parent can set tasks – be it chores or homework – before money is handed over. Any savings children put aside don’t earn any interest. Which seems mean. All the main apps charge for the card and service. I wrote at length about the pros and cons – and why I am a fan – of these apps when I first started using Go Henry back in 2014. The piece in the Telegraph can be read here. This is the one I use with my kids. I think it’s pretty good, and I especially like receiving notifications about where my 13yr old has just spent money in real time. “Your son has just spent £2.49 in KFC,” etc. The card is a contactless Visa. But the cost is £2.99 a month per child. Which is pretty hefty. Especially if you are only giving them, say, £10 a month. That works out at 30% in fees. The cost is £2.50 per child per month. Again, it’s not cheap. There are a few extra charges to be aware of. You pay 50p each time you or friends and family add money to kids’ pots. The cost is £2.49 per child per month, or £28 a year, which makes it the cheapest of the big 3. One of Nimbl’s most interesting features however is its micro-savings. This lets kids choose an amount between 5p and £5 to move to their savings account every time they use their card.